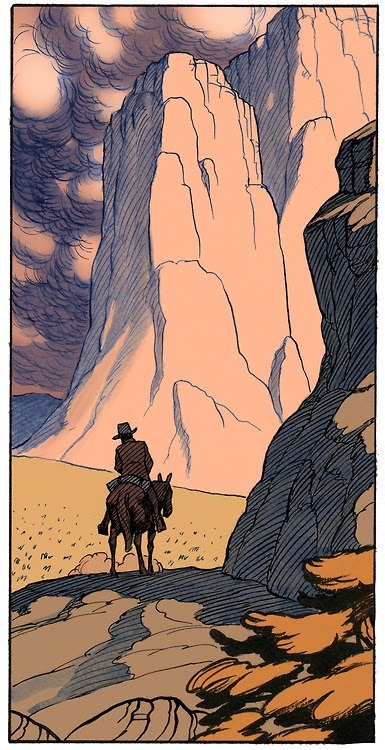 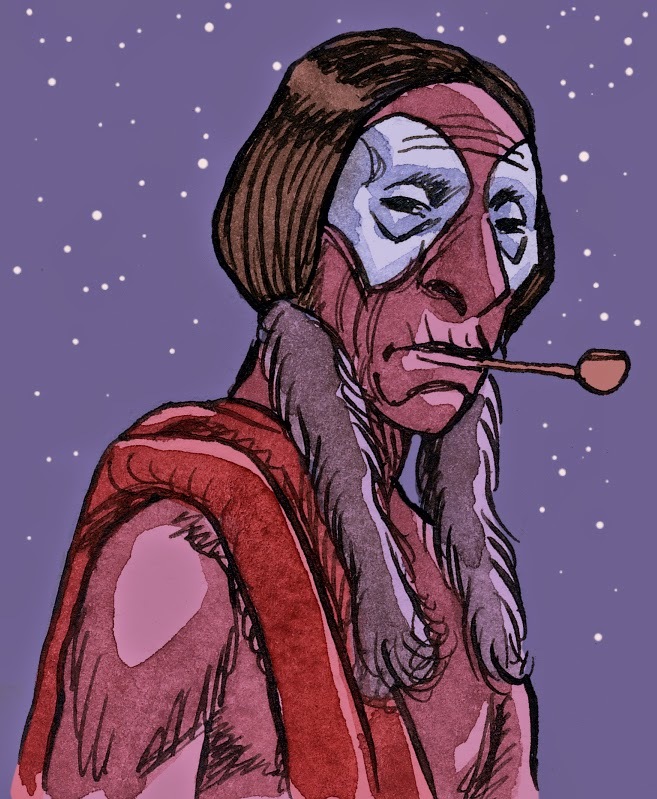 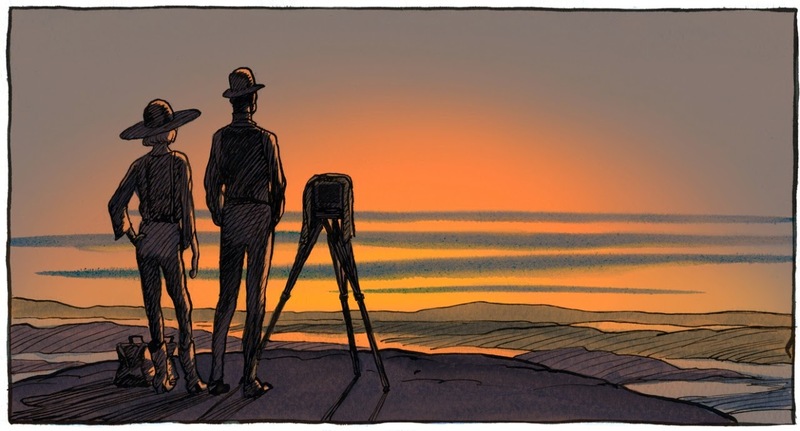 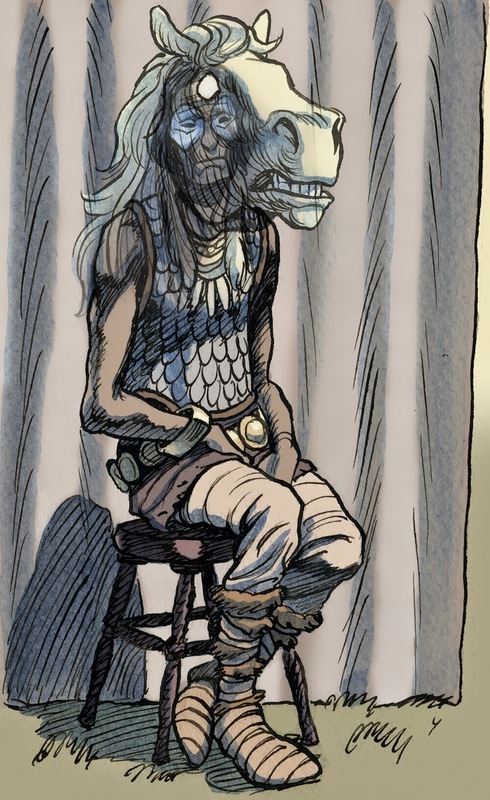 It feels like this has been hovering under the radar somewhat, but Swiss comics artist Frederik Peeters (Aama, Blue Pills, Pachyderme) has set up a Tumblr blog on which he's been posting illustrations, sketches, colour tests and more for two 'in the works' projects: the first a 'strange western' in collaboration with theater, children's books and comics writer Loo Hui Phang, and a contemporary fantastic story in collaboration with French science fiction writer Serge Lehman. 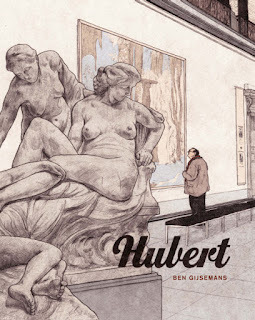 Peeters points out that these may only one day see publication in the form of books, calling the pieces 'accidents, collisions, bits of stuff dangling,' but that doesn't detract from enjoying them as they are. 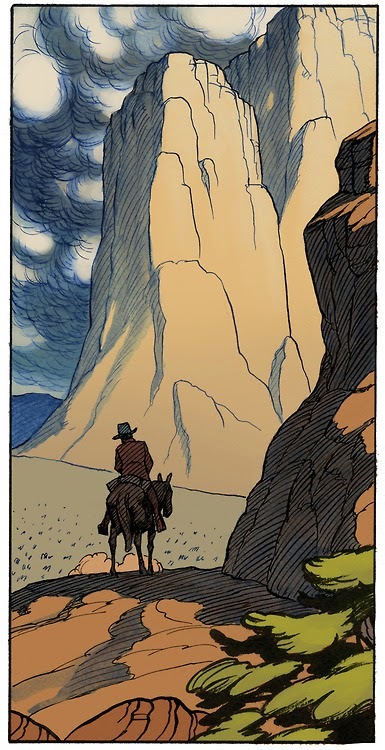 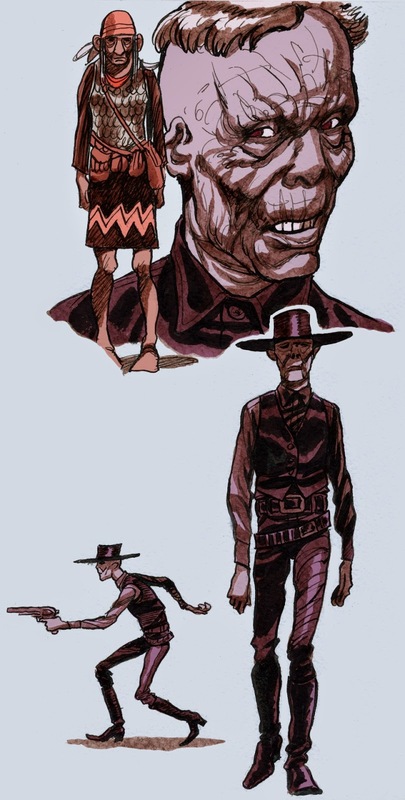 There's much more of the western project concepts than there are the sci-fi illustrations, which notably are done in a very different style -what looks like digital painting- from what we've come to associate with Peeters, and since I have a cultivated love of westerns and um, comics art, I thought I'd pull some together into one place to share. 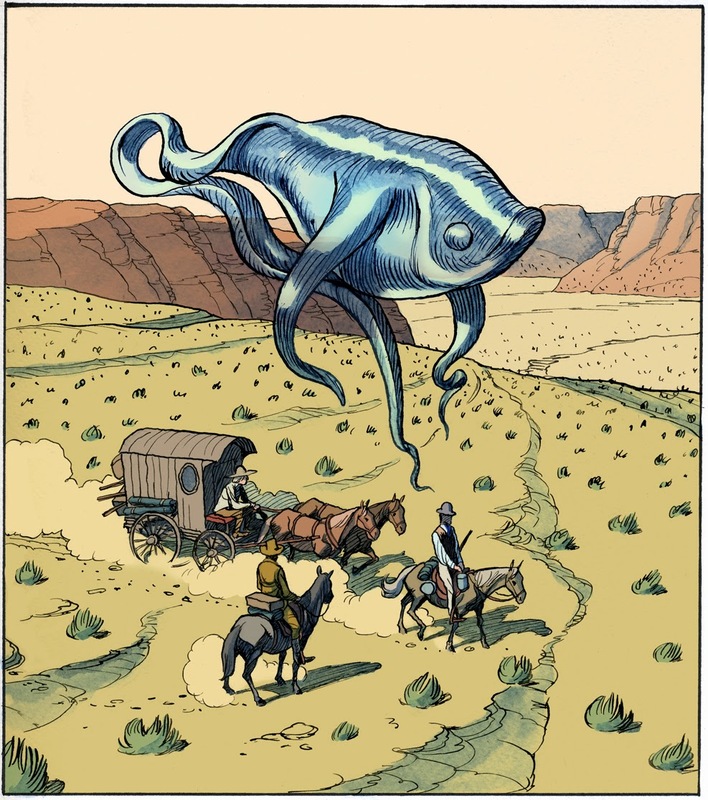 I hope this one gets to see print- the oddness of the floating fish and the rock-man head in the water has me totally intrigued and invested.